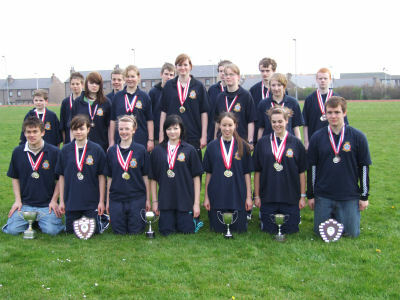 The athletics moved to Peterhead this year and again we won the overall competition with medals well distributed within our squadron team. Twelve squadrons entered teams to compete in numerous track and field events on a sunny but breezy Sunday in May. This meeting was open to all ages and abilities and was thoroughly enjoyed by everyone who took part. 107 Squadron had a very successful day winning numerous medals and trophies for individual and squadron performances, including top squadron. 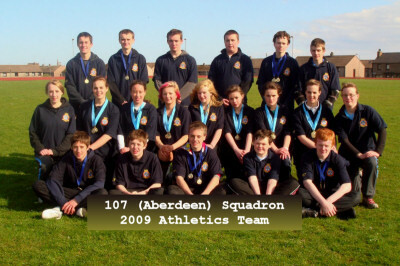 The gold medal winners in all events now go forward to represent the Wing in the Region athletics in June 2007.